Rachel Biderman Furriela is an attorney at Instituto Pro-Sustentabilidade in Sao Paulo, Brazil. She has collaborated with E-LAW since 1995. In April 2003, Rachel sent thrilling news. She wrote: "I am getting in touch because I have exciting news from Brazil. The Brazilian Congress has just approved and the Brazilian President has sanctioned its Access to Environmental Information Law, a bill presented to Congress by deputy Fabio Feldmann back in 1998. This was only possible thanks to the help of ELAW." 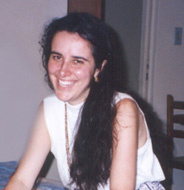 Rachel was working for Fabio in 1998 and helped his team draft Brazil’s first Access to Environmental Information Law. ELAW U.S. provided Rachel with critical legal tools, including information about access to information laws from the U.S. and other countries, and shortcomings in these laws. Now, communities in Brazil are empowered to get the information they need to chart a sustainable future. For more information about this ELAW Impact or Instituto Pro-Sustentabilidade, contact the U.S. office of the Environmental Law Alliance Worldwide at elawus@elaw.org.